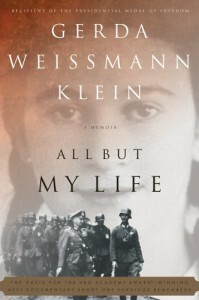 Gerda Weissman Klein’s memoir of her life during World War II is harrowing to say the least. Separated from her loved ones, surrounded by fear and tragedy, Gerda’s life is turned upside down overnight and she faces years of anguish, pain and grief. 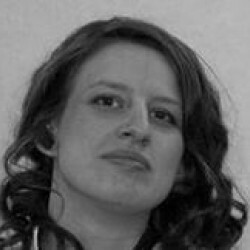 Despite it all she retains an immense sense of what is right and fair, often putting the needs of others above her own and often putting her own life at risk in order to stand up for her principles. Although the details given in Gerda’s account do not feel watered down by any means, you can’t help but think that even though her recollections are horrific, there’s much more that she has chosen not to share and can only be stunned by her bravery and determination. She loses everything – all but her life and her spirit. One of the most remarkable aspects of the story is the advice Gerda is given by her father to wear her winter walking boots one day: advice that will prove to be lifesaving. If it had been a novel, it would have seemed like one of those quaint coincidences that ties a book together but knowing that this is an autobiographical tale actually makes this incredibly poignant. Even though I finished the book a couple of weeks ago, every time I think about it I remember those boots and how her father’s last piece of advice would be, literally, life-saving. It is impossible for me to give All But My Life anything other than five stars. This is a beautifully related memoir: despite the overwhelming sense of tragedy and pain, Gerda’s will to survive and determination to keep not only herself going but others as well is utterly heart-wrenching. Although I have never been a huge fan of autobiographies, I wouldn’t hesitate to recommend this. It is a story that must be told and it is a time that we must never, ever forget.